Make all dietary changes gradually to ensure the horse’s digestive tract adapts to the new diet. This applies to both hard feed and forage, including grass, hay and haylage. Many horse owners are aware of making changes to their horse’s hard feed gradually, but some don’t realise this rule of feeding also applies to forages and indeed any change to the diet apart from supplements that are fed at rates of under 100 g daily. So why do we need to make changes gradually and how do we do this in practice? Horses are sensitive to dietary changes and seem to do best on a continual diet in terms of what is fed and when. Dietary change including a different batch or type of hay or concentrate feed, a change in the quantity or frequency of feeding, and the time of feeding can all increase colic risk. Moving a horse from pasture (which is very high in water) to a stable with hay (which contains very little water) is associated with a risk of colic. Interestingly, a change in forage seems to be more potentially harmful than a change in concentrate feed, where colic risk is concerned. The digestive enzymes of the horse need time to adapt to a change in diet, as do the microbes in the gut, particularly the fibre-degrading microbes in the hindgut. There could also be an adjustment in chewing required with more fibrous forages, and that can take time. Make all dietary changes gradually; thinking ahead to ensure this is possible. Take at least a week to change forage or hard feed. Take several days to introduce a supplement that is fed in quantities greater than 100 g daily. 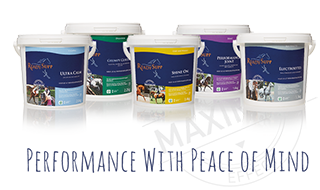 Consider feeding a digestive supporting supplement for example containing pro- and prebiotics to help the adjustment, and this is strongly recommended for horses who are prone to colic. Think ahead when you take your horse away for a course, holiday or competition. Even if hay is offered as part of a livery package, don’t change from your hay to a different hay immediately, especially if the horse has travelled. Travelling dehydrates horses and, if paired with a sudden change of forage (for example much more hay and less grass due to limited turnout), the risk of colic is increased.